The key to brand recognition! 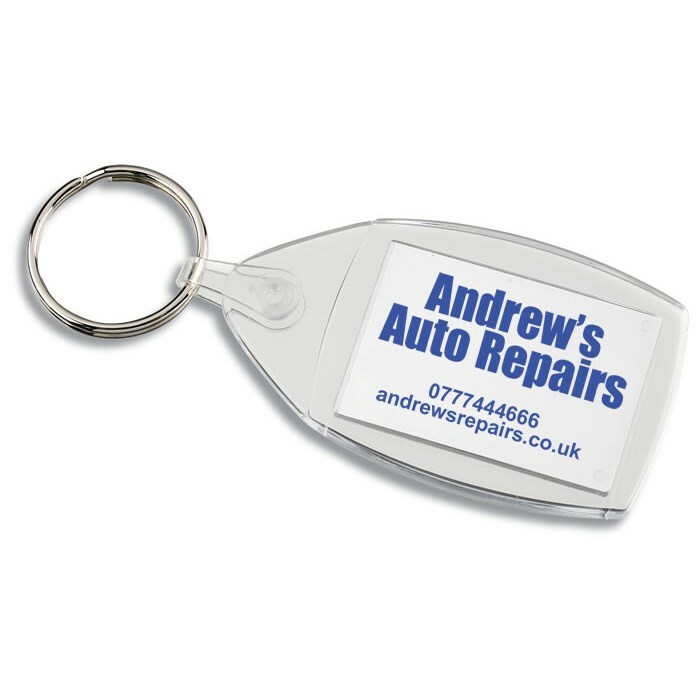 Amazing value keyring with 2-sided full colour printing included in the price! Simple, but stylish design with a new rotating clip attachment that lies flat - making them ideal for posting. Your artwork is printed digitally onto a paper insert that's encapsulated inside the keyring, which means you can have a different full colour design on each side. Price includes a full colour print to both sides of the paper insert. Print area: 35 x 24mm (each side).